This morning, state senate candidate Jonathan Steitz issued a press release through email only, that took the rare step of quoting the entire text of an anonymous op-ed written over the last two days. This op-ed, written by the unknown “Linda Richards” was not only sloppily written, but defended MediaTrackers’ journalistic behavior and their editor’s friend, Steitz’s campaign. Steitz is running in a primary against recalled Senator Van Wanggaard for Senate District 21 in SE Wisconsin. The campaign has been marred with accusations from Steitz about Wanggaard’s record that were simply untrue, along with many back and forth arguments between supporters that have gotten downright nasty. In several exchanges with me, two Steitz supporters went personal – perhaps in childish jest – by discussing my son (by name), my parents, my former wife, my job and doubting my sexuality. For the record, I never did such a thing, yet third party observers are so weary of the infighting they’ve accused both sides of dirty play. Meanwhile, Van Wanggaard himself has stayed above the fray, not attacking Steitz, but rather touting his record. He has also earned the endorsement of nearly every local elected leader. These endorsements were sought out by Steitz, but he could only secure those of leaders outside the actual district. The Steitz campaign does not have a direct link to their endorsements on their page, and one can only assume it has to do with it’s rather brief stature next to his opponents’. Today’s press release comes in the wake of these events, and following the snowball weekend of Wisconsin conservatives reacting to MediaTrackers’ arguably questionable barn-burning. I discussed this in full detail in a July 19th article. There is no evidence, of course, but the placement of this anonymous op-ed gives the appearance of some coordination, considering the 48 hour response time to the last exposé about MediaTrackers. They have been a staunch ally of Jonathan Steitz, friend and fellow board member of Wisconsin Family Action with editor Brian Sikma. After writing a dozen very questionable, low brow pieces on Van Wanggaard, they have begun hitting frontrunner Joe Leibham in the sixth district congressional race in northeastern Wisconsin. On Wednesday, Santo Ingrilli published an op-ed questioning MediaTrackers’ integrity, then Ashley Shultz published a harsh criticism of the site on Purple Wisconsin/JSOnline. 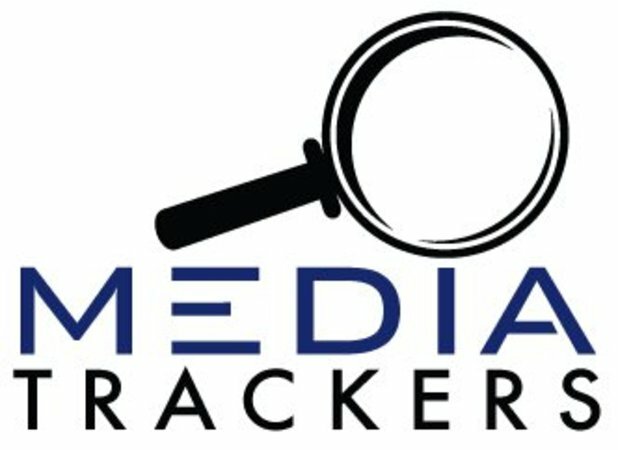 On Friday, respected writer James Widgerson expressed his disappointment in MediaTrackers, and Christian Schneider made reference to “groups” getting into dirty politics in his own piece, followed by my exposé, where I combined all of them. On July 21st, the first of two successive op-eds by “Linda Richards” came out defending both Steitz and MediaTrackers, which MediaTrackers’ editor immediately pushed out that morning to his followers. Now, the following day, the Steitz campaign publishes both articles in full in a press release? All I can say is that I’m praying for the quick arrival of August 13, the day after the primary. I want to pass this contentious race and focus on reforming Madison politics with solid leadership. For me, that’s Van Wanggaard. Please join me. Why would the establishment back Van over someone who is obviously more qualified? Those in the establishment hate it when the new guy makes waves. They want to keep their way of doing things the way they want to do them. No new boys are allowed in the old boys club until the old boys say so. The only grassroots that Wanggaard can muster is the Racine Tea Party(RTP). The group is made up of just 2 people with a big email list and connections to the GOP. One of them even lives in Dallas… Texas. How did we find out UW-Madison had a billion dollar surplus? Assemblyman Dale Kooyenga, CPA. While ripping apart their books, going line by line, he found one billion taxpayer dollars just sitting there, unaccounted for. That find is just one of the many things that make residents, who desire real reform, take an interest in Jonathan Steitz. Those same residents say that someone who has been climbing the political ladder for years, like Van Wanggaard, and has no financial background, probably can’t do this. Steitz has very little GOP backing because he did what conservatives love: he made it in the private sector. People like Milwaukee County Supervisor Deanna Alexander have been quick to notice him for such reasons. Steitz won’t play the game like Wanggaard, who will go along to get along. He’s going to make waves. Steitz has an MBA, and clearly, he knows how to use it. This makes him appealing, as appealing as Ron Johnson. People believe he is the kind of guy who could become as hated in Madison as Johnson is in Washington. The hatred stems from the new guy knowing how to fix things and not being afraid to rock the boat. Steitz shows this same ambition. Steitz has something other than an MBA that Wanggaard doesn’t have: the grassroots. The groups who have been spearheading the conservative movement in the past years have lined up behind the political newcomer. American Majority has been a force behind the scenes in promoting candidates who believe in limited government and the free market. Nik Clark, the founder of Wisconsin Carry, Inc., a 2nd amendment advocacy group, picked Steitz over Wanggaard because they know Steitz is better on the Second Amendment. This is ironic considering Wanggaards background in law enforcement. During a debate in Racine, Wanggaard even misrepresented his position on the issue to cover some of his tracks. Kim Simac of Northwoods Patriots has jumped into the fray as well. She is known for being a grassroots superstar that commands respect of conservatives all over the state. Even Rick Esenberg and Eric O’Keefe from Club for Growth are backing Steitz. After the forum that both candidates participated in, the grassroots immediately saw who the better choice was, and that is when the endorsements started flowing in. Media Trackers, who has been the conservative watch dog in the press, has been going after Van. Why? It’s because they see Van as a member of the squishy Right who’s going to be an establishment type. While many on the Right don’t like it, Media Trackers is calling out his record for what it is. Van and his team have done little to defend his record, except to accuse others of lying. Using Alinsky tactics, they scream “liar” until the conversation is shut down. Much like how the Left uses “racism” or “war on women” to shut down conversation. This year, Van Wanggaard was expected to reclaim his seat that was taken from him when the Left targeted him for recall. Van, being a lifetime government employee, knew when he was recalled that he was going to run again in 2014. Van worked to secure GOP endorsements more than a year prior to the November 2014 election. Paul Ryan, Tommy Thompson, Robin Vos and a lot of the GOP establishment are with Van. Van has had his sights on bigger government seats since he retired from the force. He was on the Racine County Board for 9 years and during that time he ran for the Assembly and lost. The only reason he left the Board was to be a State Senator. Get the picture? Lifetime politician. One government paycheck and pension after another. He even wants to protect others in government. He wants to give the workers special treatment that we in the private sector will never have: Civil Service Protections. I don’t know about you, but my boss can fire me if I screw up bad enough. Not in government. In government, you need to file a grievance process and jump through a bunch of hoops, all to fire the worst employees. This is because of a provision that Van Wanggaard backs. He’s proud to be giving government workers this. He must think they deserve better than you and me. We pay their salary last time I checked. 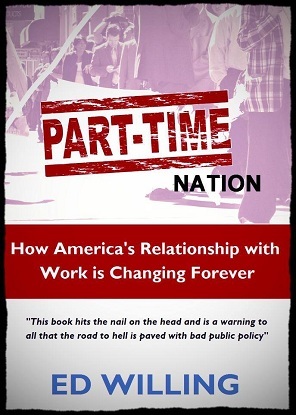 The only grassroots that Wanggaard can muster is the Racine Tea Party (RTP). The group is made up of just 2 people with a big email list and connections to the GOP. One of them even lives in Dallas… Texas. One of RTP’s leaders sent out a scathing email that has angered many in the grassroots in recent days. In her email, she went after Steitz’s volunteers and also bragged about how high ranking people were recruiting her to run for State Senate against Van. She also questions why someone who loves their state would want to take an over 50% pay cut to be a citizen legislator. Did RTP become so much a part of the establishment that they forgot the Tea Party advocates for citizen legislators? She goes on to complain about people outside the district interfering. This is ironic because RTP decided to get a list of 100 names to back Wanggaard. They couldn’t get that many in the 21st district. They had to go all over the state to find people who would back Van. They just needed a number, so they got it for optics. If RTP had to do that, how much do they represent Racine at all? Grassroots doesn’t have to worry about optics; they get things done. If in an area of over 100,000, you can find 100, you’re not grassroots. If you ask me as far as grassroots goes, they’re nothing more than a paper tiger. Too often people get caught up in Van’s record, and while it’s not the worst, it’s not the best. These are the kinds of things the new conservative grassroots is getting rid of. He can’t defend his record; he will call criticisms of it lies. His record isn’t even the biggest issue in the race though. In this race, Steitz is just more qualified to do the job. We don’t need another guy in government who has been in it his whole life and won’t make waves. We need a guy with an MBA who is going to make big waves, help make big savings, and save our taxpayers big dollars they didn’t know they could save. Jonathan Steitz and his wife, Kelli, live in Pleasant Prairie with their four young children. Steitz previously ran for State Senate against Bob Wirch in the 2011 recall elections. The new 21st Senate District encompasses a portion of the district in which he previously ran. Steitz has a law degree and MBA from Northwestern University and recently worked in financial services for Robert W. Baird & Co. in Milwaukee until resigning to campaign full time.